Thanks to Bryant Park Presents—a private, not-for-profit—there are lots of fun, free, cultural music and theater events to enjoy from May through October at Bryant Park. 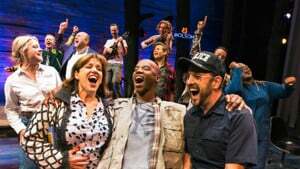 The lineup includes performances of Shakespeare plays by The Drilling Company, a preview of a new opera production, and selections from classics as played by New York City Opera. There’s also the Accordions Around the World festival, which spotlights acclaimed local and international musicians; the indie rock-focused Emerging Music Festival; a participatory Latin Dance Festival featuring salsa, bachata, and merengue bands; and a series with New York’s top arts organizations. The scenic Midtown Manhattan park, which is visited by more than six million people each year, is located behind the New York Public Library between 40th and 42nd Streets, and Fifth and Sixth Avenues. The sprawling park offers guests movable chairs and tables, cafe umbrellas to shade the sun, and a variety of food kiosks and restaurants, as well as restrooms. All events are free; tickets are not required. Bryant Park announces its first free outdoor performance of the 2019 season. The annual Shakespeare Birthday Celebration marks the 455th birthday bash for The Bard. 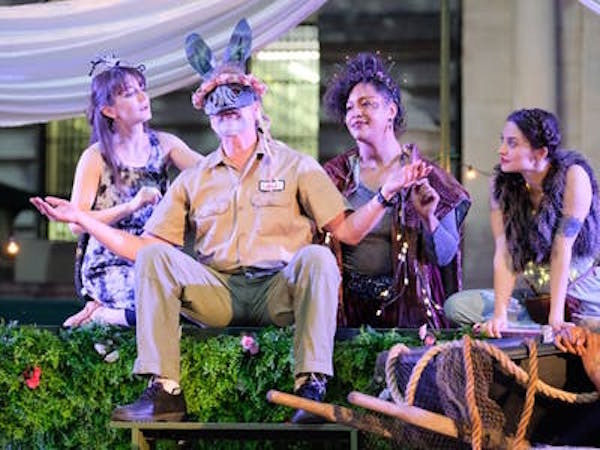 Bryant Park welcomes the return of The Drilling Company (TDC)—a theater company renowned for its Shakespeare in the Parking Lot series. TDC’s member Natalie Smith (Netflix’s Iron Fist) has created numerous pieces of original music using Shakespeare’s text as libretto, including songs for TDC’s runs of As You Like It and The Tempest, the latter in collaboration with arranger Michael Chorney (Hadestown). A compilation of Smith’s Shakespearean work was recently released as an album, Then Sing Him Home. The band will play between performances of short dramatic and comedic scenes from Othello, Cymbeline, A Midsummer Night's Dream, Hamlet, The Merchant of Venice, and The Taming of the Shrew. Learn to salsa at Bryant Park’s Opening Night Dance Party with Latin Music’s First Family. 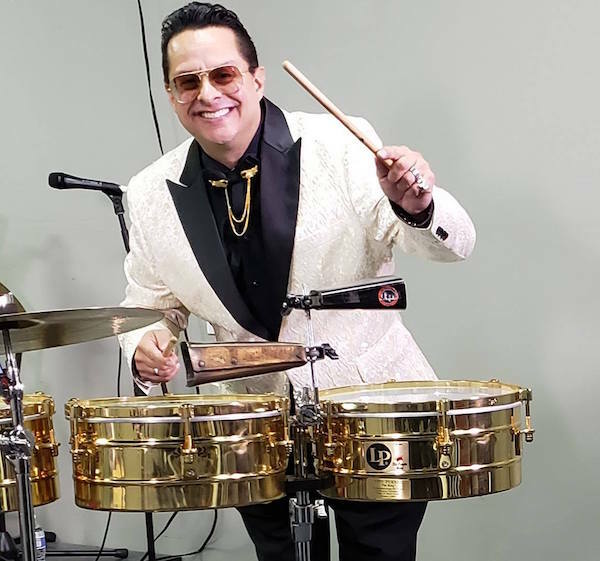 Percussionist and bandleader Tito Puente, Jr. nurtures the musical legacy of Latin dance, which was left by his late father, Tito Puente—a musician, songwriter and record producer known as “The King of Latin Music.” 6pm-8:30pm. 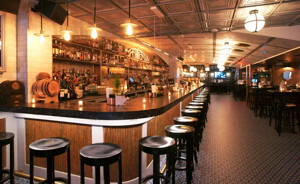 Dress to impress at this 1940’s Retro Latin Glamour Party. 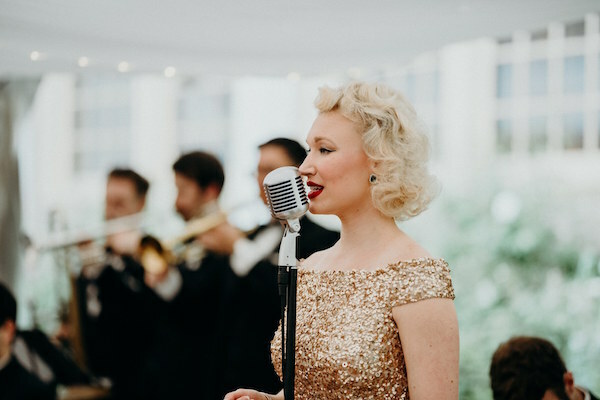 Fleur Seule is an authentic 1940s Ballroom swing band that plays hits from destinations worldwide. Songbird/Bandleader Allyson Briggs, dubbed “The Glamour Girl of Jazz,” croons in seven languages. Seule plays Swing Era hits, jazz standards, and ballroom classics that are reminiscent of the era of big bands and glam 1940 evenings out. 6pm-8:30pm. Brooklyn Swing started out playing swing in Philadelphia, but has since then has evolved into a multi-genre dance ensemble renowned for its fusion of fiddle, Klezmer, and blues swing. Exenia is a rising R&B singer/songwriter and dancer/choreographer based in New York City. She recently released her first music video, “Automatic,” and is busy working on her debut album. Exenia is also a competitive West Coast Swing dancer and teacher. Live music project LaMar mingles the fiery sounds of Colombia, Spain, Brazil, and Cuba to create a groove-centric party. The group consists of singer and guitarist Nilko Andreas, bassist Matt Geraghty, and Reid Andres on percussion. 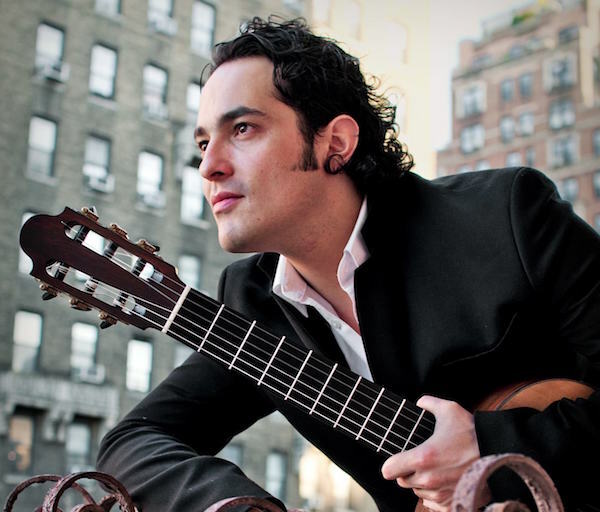 Colombian/American classical guitarist and composer Nilko Andreas Guarin has been described as an “electrifying performer.” Since his 2009 debut at Carnegie Hall, he’s captivated audiences as a soloist, composer, and chamber musician. Colombian vocalist Maria Raquel mixes her powerful voice with rhythms from Caribbean, the Pacific, and the mountains. Her repertoire includes boleros, cumbias, salsa, and son cubano. 6pm-8:30pm. All Bryant Park Picnics events are free to the public. There is no dress code. Tickets aren’t required and there is no line. At each show, Bryant Park lends out over 200 free blankets for guests to relax on while enjoying the performance. Beer and wine is available for purchase, and entertainment abounds with jugglers, super-sized games, and more. Visit BryantPark.org for up-to-the-minute lineup updates and show additions.